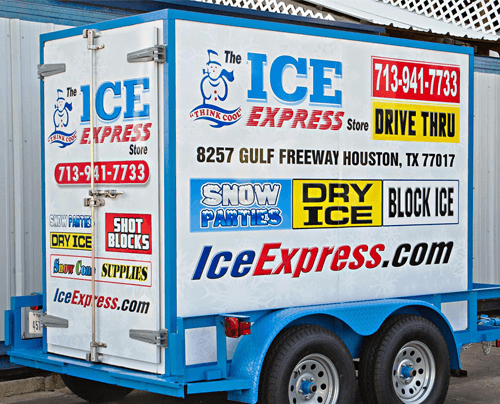 Ice Express has become Houston’s #1 ice supplier because of our large supply of ice products, continued focus to the needs of our customer, and ease of access to our 7 days a week services. Stop by our location today and let our staff load your Bagged Ice, Block Ice, Dry Ice, Snow Cone Supplies, Fresh Snow Bagged, and Water. Our friendly staff will treat you like family! 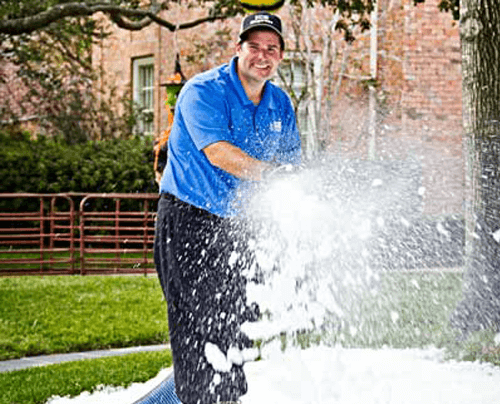 Snow parties are one of the many specialized services Ice Express offers to both residential and commercial clients. Our state of the art snowmaking equipment can quickly and convincingly transform your home into an enchanted winter wonderland. We provide snowmaking services for everything from birthday parties and Christmas parties to commercial and motion picture shoots. Take a look at our snow party gallery to view examples of our past snowmaking projects. 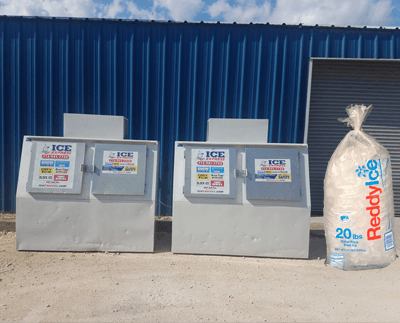 Ice Express sells 20 pound and 40-pound bags of premium quality ice made with bottled water quality water and dry ice thru a rapid 1-hour delivery system and an E-Z pickup location at 8257 Gulf Freeway. We have minimum orders for deliveries according to distance. 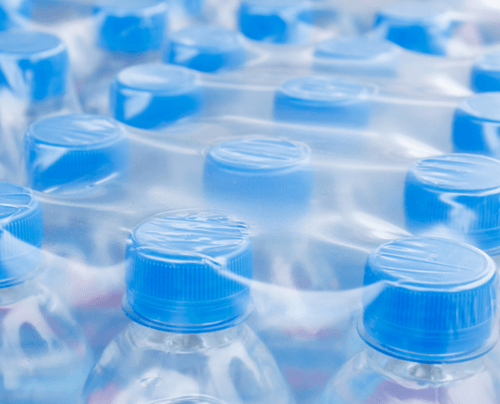 We deliver to the entire Houston, Texas area including; Clear Lake, Baytown, Dickinson, Friendswood, League City, and Pearland areas. Special Events are our specialty! 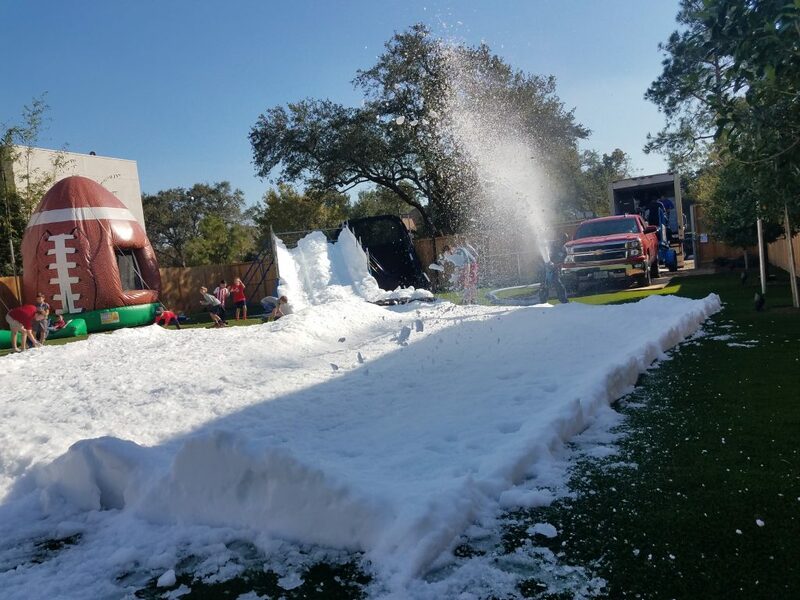 From distributing ice to the Houston Livestock Show & Rodeo to blowing 300,000 pounds of fresh snow for a Christmas party at your church to delivering a mobile ice trailer with 1,000 pounds of ice for your company’s picnic. Ice Express gets the job done! Ice Express also manufactures a quality crystal clear 240-pound solid block of ice. We make 10-pound solid ice blocks with bottle quality water for snow cone shavers. Our company is the only ice company offering 40-pound solid ice blocks for extended use for hunting and fishing trips or just a day at the beach. Our mission is accomplished through enthusiastically and efficiently distributing our products to our customers, valuing our employees and constantly seeking new ways to improve how we do our job! We can provide a unique and fun party feature with our Big Shot Blocks, Tailgater Shot Block Package, Little Shooter Shot Blocks, and our Mini-Shooter. While you are at it, pick up some Bagged Ice and Dry Ice for your food and guest. At Ice Express, we offer a wide variety of products and services for both residential and commercial customers. Click the link below to contact one of our team members today. Get Your Ice Answers Now!